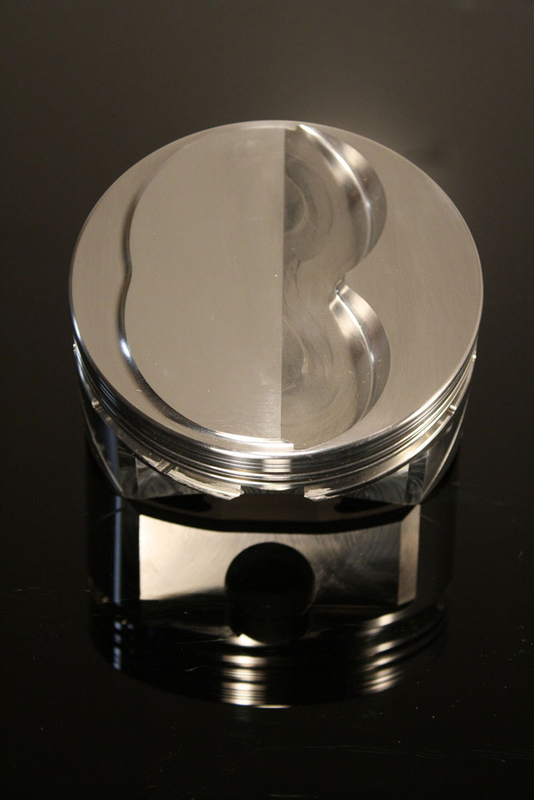 350 Chevy SX Forged Piston Set of 8 Includes Full Floating Pins & Locks. (3.48" Stroke x 6.000" Rod) +4cc dome, 1.260" Comp Hgt, .927" pin; 1/16, 1/16, 3/16" ring grooves. Approx Comp Ratio: (58cc Head-12.61 to 1, 64cc Head-11.60 to 1, 70cc Head-10.02 to 1).